Troops from Niger and Chad seized Damasak earlier in March, ending months of control by the Islamist militants. A regional force has recently been helping Nigeria take on the insurgents. Thousands have been killed since 2009, when Boko Haram began its insurgency to create an Islamic state. 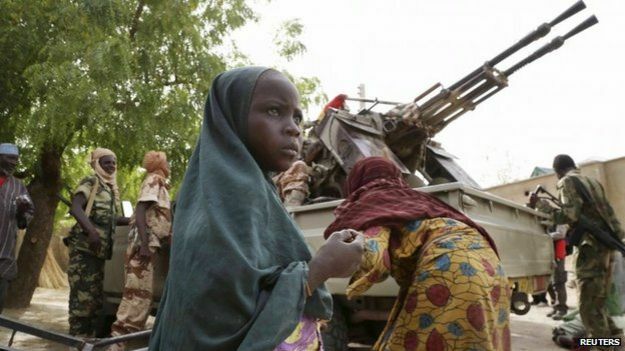 The senator representing the north of Borno state, Maina Maaji Lawan, told the BBC's Nigeria correspondent, Will Ross, that the case in Damasak was typical and many hundreds of children were missing. He said: "The very young ones they give to madrassas [Islamic schools]… and male ones between 16 and 25, they conscript them and they indoctrinate them as supply channels for their horrible missions." 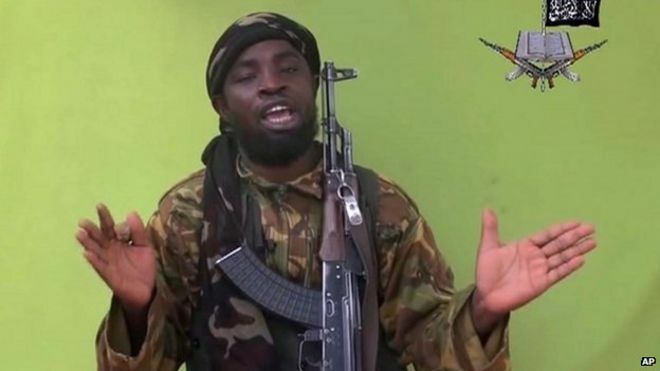 Boko Haram caused international outrage in April 2014 after it abducted more than 200 girls from a boarding school in Chibok town in north-eastern Nigeria's Borno state. Has Ebola focus led to other killer diseases being ignored? The world is focusing on the Ebola outbreak in three West African states but what about malaria and measles? A year of battling Ebola in Sierra Leone, Liberia and Guinea has seen unprecedented effort and resources poured into one outbreak over such a short time. The Ebola outbreak in West Africa will be over by August, the head of the UN Ebola mission has told the BBC. Ismail Ould Cheikh Ahmed admitted the UN had made mistakes in handling the crisis early on, sometimes acting "arrogantly". Help those in need through our Foundation Education - Health - Food - Disaster - Energy This is primarily to reduce the shortage of food and medicine to the appropriate care is directed. We consider it important that children receive adequate training in this country, even outside their home country.